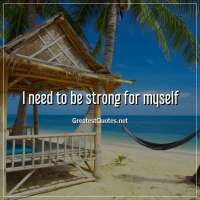 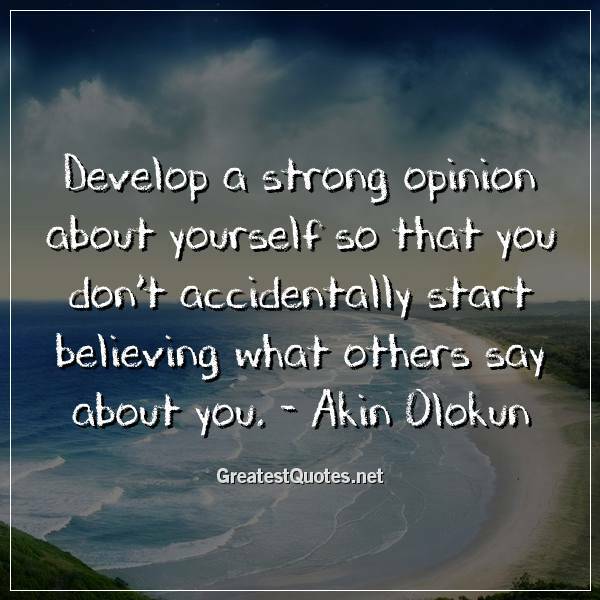 Develop a strong opinion about yourself so that you don’t accidentally start believing what others say about you. 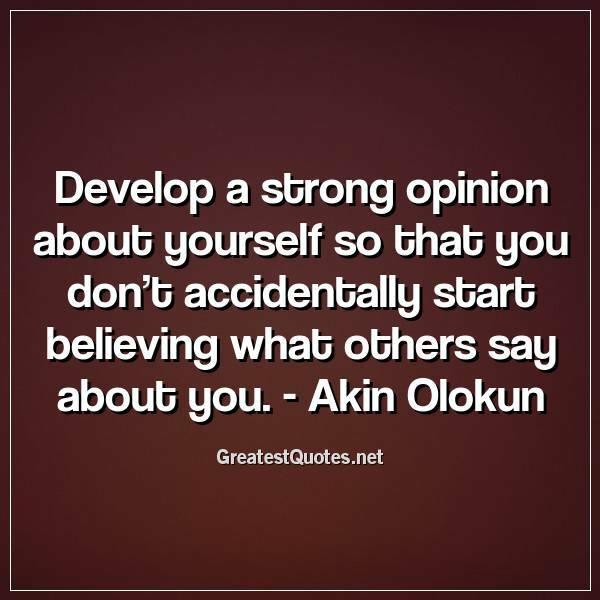 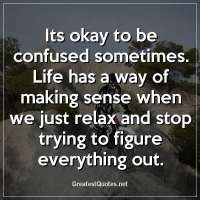 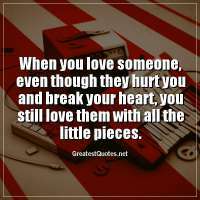 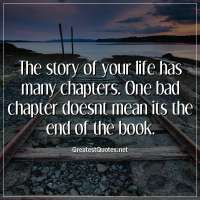 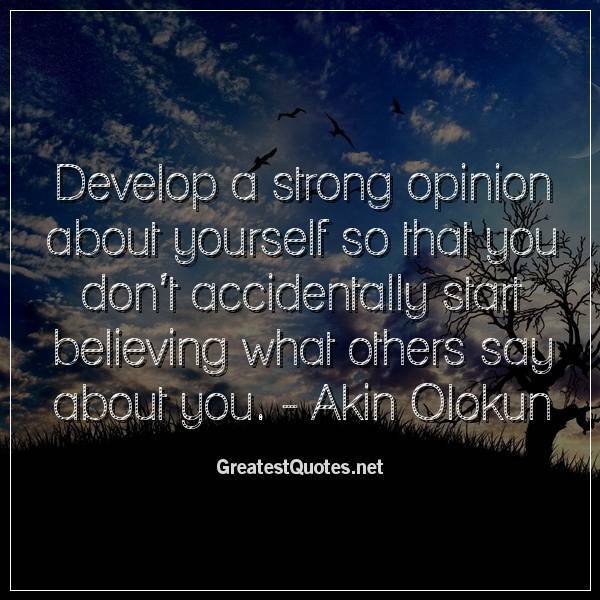 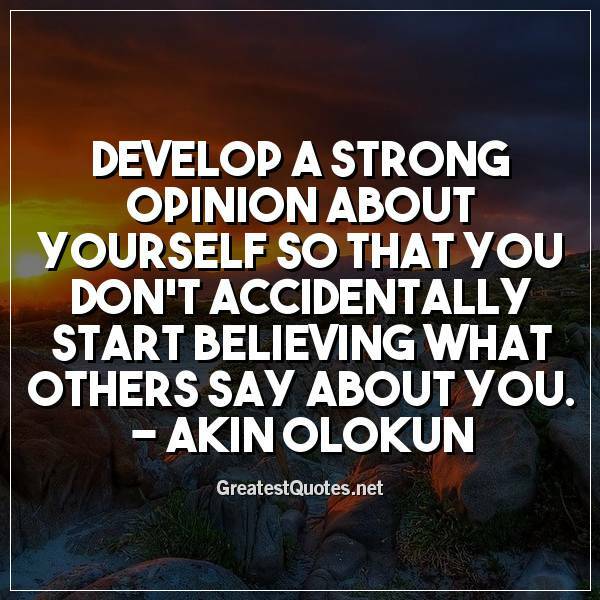 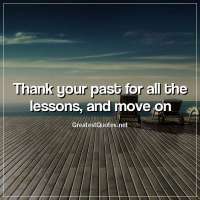 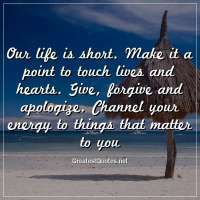 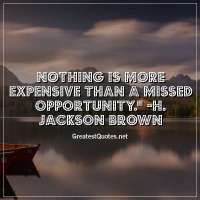 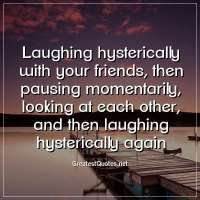 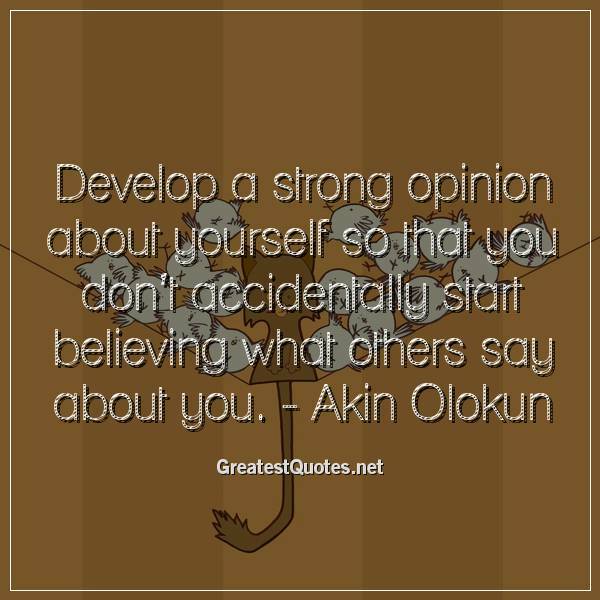 - Akin Olokun - Free life quotes images and photos!! 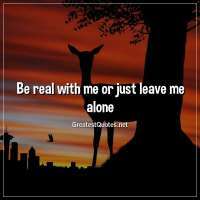 March 20, 2017 at 14:01:25 - 765 votes.